Established in 1967 the Vango company has been making outdoor camping tents and accessories for almost 40 years. Located in the United Kingdom this company sells their products all over Europe. Here is a look at some of the most popular Vango tents. The Alpha 300 is a three man Vango tent made from fire retardant material and featuring taped seams, clear windows with internal covers and reflective webbing. 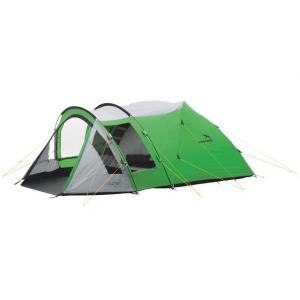 This camping tent vango makes has part of the door and roof made with mesh to help prevent condensation. It has inner pockets for extra storage, a front porch (vestibule) for storage of gear, lantern hook, orange guy ropes for easier visibility and comes with it’s own carry bag. It weighs 3.65 Kgs and sells for about $40.00. Did Users Like This Tent? Overall the reviews on this tent were mixed with this Vango tent scoring just a little over average. The main complaint by most customers was that this tent lacks the space for the three people for which it was designed. Other negative comments centered on the fact that although the tent itself seems to be well waterproofed the front porch was not. Positive comments included the fact that this tent is extremely easy to set up and take down, the lantern hook was a nice added touch and that this tent could stand bad weather conditions with little or no problem including high winds and rains. 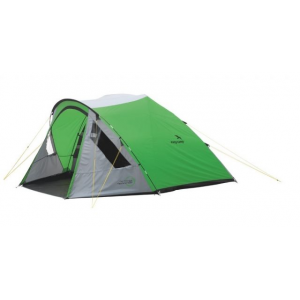 This tent seems to be a reasonably priced tent and quite sturdy and dependable. It’s easy set up and simple design makes it a great tent for beginner campers. While this is not a top of the line tent, it’s ability to withstand punishing weather conditions makes it a good option for those who can’t afford the more expensive better made tents. The Gamma 350 tent is another Vango tent designed for 3 people (3.5 people) and for 2 or 3 season camping. 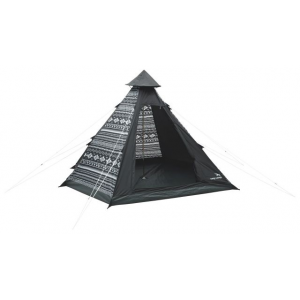 Some of the unique features of this tent includes: It has zip entries, is fire and water resistant, mesh breeze inner tent, front and side entry, a large ante room for storing tons of things, external pole sleeves, color poles for fast set up. A life time guarantee and it even comes with a repair kit and carrying case. People who actually purchased and used the Gamma 350 tent loved it. The reviews on this tent were overwhelmingly favorable. This is one Vango tent that seems to have all of the advantages and none of the disadvantages you find in most tents. Specific comments regarding this tent heralded the ease of set up and stated it was extremely comfortable for two people though crowded with three. About 90% of the users raved about the anteroom, stating that they loved the extra storage space. Many reviewers stated that this tent was good in all types of weather and most would recommend it. Overall the Gamma 350 is an excellent tent at a reasonable price. It has many great features including large windows and an extremely large anteroom. It is well made and extremely durable. It’s one disadvantage has less to do about the Vango tents quality and more about labeling. As most reviewers agree this should be a two man rather than 3 man tent. Taking that into consideration this seems to be an excellent tent perfect for a couple or those two person camping expeditions. Another popular Vango tent is the Synergy 300. This 3 man 2-3 season tent is made of the same fire retardant material as other tents in the Vango lineup. It has twin porch installation and with two entrances and two porches. It has PVC windows fiber flex poles and comes with it’s own carry bag and repair kit. One of the most unusual features of the Synergy 300 is it’s rather strange shape which looks like two small dome tents attached to one another. While this design may make the Synergy 300 look a bit strange it does have it’s advantages which is mainly in providing more interior space. 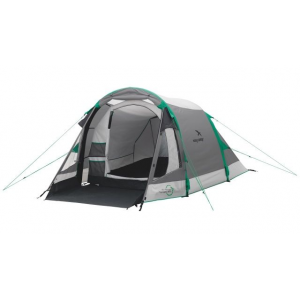 Like most of the line up of Vango tents the Synergy 300 tent is well built and sturdy. Reviews on this tent were almost non existent. In the one review that is easily available the reviewer gave this tent a 4 out of 5 star rating citing that it had lots of internal space and that he liked the two door option. He did find it was somewhat difficult to line up the inner and outer tents and attach them to the poles. While the Synergy 300 seems to be a well made, durable and practical tent that is reasonably priced. It would be nice to see more reviews on this Vango tent to know how this tent actually performs. 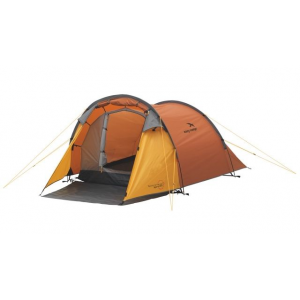 The Vango Diablo 900 is a 3 room, 9 man expedition tent. While Vango tents are known to be lightweight this tent is an exception. It is heavy duty and heavy weight made to withstand any kind of weather conditions needed at a base camp. It takes about 45 minutes to set up and has inner pitching first. Color coded poles, mesh doors and vents, inner pockets for storing those glasses and other fragile items and plenty of windows and well as a porch area. There were plenty of reviews on the Diablo 900. Most of the reviewers found this Vango tent an exceptional tent with the one major disadvantage being that it was difficult to set up which is not unexpected in a tent this size. What reviewers found positive about these Vango tents for camping was the huge amount of space it provides, many reviewers also commented on it’s ability to keep you dry in all kinds of weather conditions. They stated it was a tough no nonsense tent that would fit your family to perfection. The diablo 900 tent is a well designed and made tent perfect for larger groups or families.